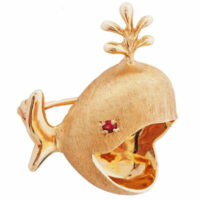 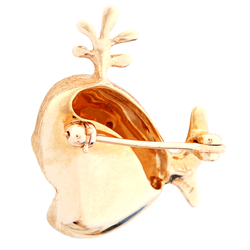 Make a splash with this 14K gold vintage whale pin with a ruby eye. 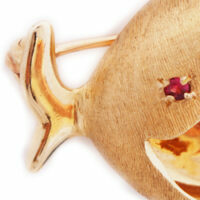 A hard-to-find substantial piece that will add to your jewelry treasures. 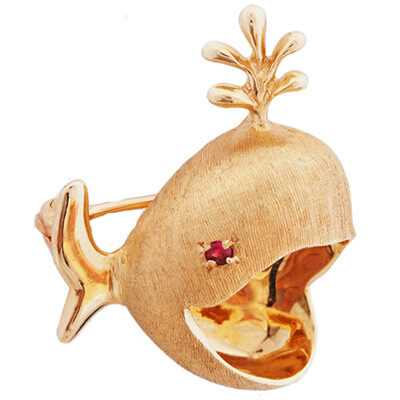 Gemstones: One round ruby weighing .02 carats.